ALTHOUGH one of the smallest of the Spurgeon volumes, this is among the most notable of his publications. It consists of the inaugural address which he delivered at the Pastor’s College Conference in April 1891. 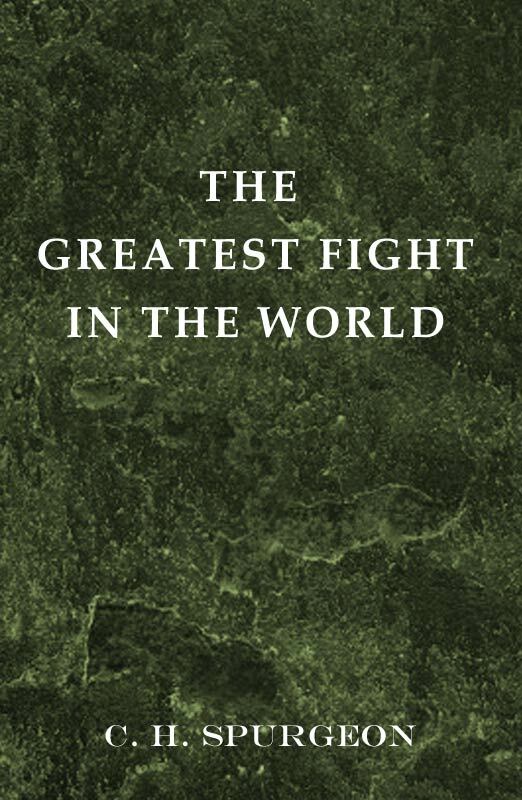 Taking “the good fight of faith” as his theme, he exhorted his audience to do their very best “in our great Master’s service.” Published just before his death, this volume constitutes Spurgeon’s final address to his fellow pastors. Without a doubt it is one of the most forceful addresses that he ever delivered. My topics have to do with our life-work, with the crusade against error and sin in which we are engaged. I hope that every man here wears the red cross on his heart, and is pledged to do and dare for Christ and for his cross, and never to be satisfied till Christ’s foes are routed and Christ himself is satisfied. Our fathers used to speak of “The Cause of God and Truth”;2 and it is for this that we bear arms, the few against the many, the feeble against the mighty. Oh, to be found good soldiers of Jesus Christ! Three things are of the utmost importance just now, and, indeed, they have always stood, and will always stand in the front rank for practical purposes. The first is our armoury, which is the inspired Word; the second is our army, the church of the living God, called out by himself, which we must lead under our Lord’s command; and the third is our strength, by which we wear the armour and wield the sword. The Holy Spirit is our power to be and to do; to suffer and to serve; to grow and to fight; to wrestle and to overcome. Our third theme is of main importance, and though we place it last, we rank it first.